"The Los Angeles Clippers should get on their knees and thank Mick Minas for taking, what appears to be several years, to chronicle their team history. The passion, the detail, the ironies, the insider information are smartly told in what will, no doubt, be the definitive book on this colorful franchise. An MVP effort from a rookie author." "Mick Minas brings us a fascinating, joyful look at one of the NBA's, um, weirdest franchises. Before Blake there was Benoit. Before Chris Paul there was Gary Grant. Before sanity there was ... pure craziness. A romp unlike any other NBA romp. I loved it." "A great job by Mick Minas. Overdue as it is outrageous. In a word, C-L-I-P-P-E-R-S!" "The Curse is a meticulously researched, definitive look at the good, not-so-good, and occasionally woeful history of the Los Angeles Clippers. Mick Minas has written an incredibly thorough book in which he pulls no punches and leaves no story or experiment unexplored. Whether or not you follow the Clippers or even the NBA, this is a portrait of problems and solutions, failures and successes, villains and heroes, disappointment and — perhaps more than anything — hope." "If you’re looking to take a deep dive on the sad, funny history of the Clips, this would be the place." “So you think you know a lot about the Clippers? Pretty sure you’ve heard it all before? Think again. Mick Minas uncovers decades of dysfunction from the birth of the franchise in Buffalo through the Donald Sterling era and the excitement of Lob City in The Curse. Whether you are a die-hard Clippers fan or just a fan of pro basketball, you’ll love learning about Los Angeles’ "other" team." "Finally, someone has undertaken to place historical perspective on the San Diego/Los Angeles Clippers. Mick Minas has exhaustively researched and crafted the entertaining history of the franchise since their move from Buffalo, as told by those who lived it. 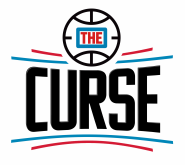 The Curse is a wonderful read for all sports fans." From Bill Walton’s feet to DeAndre Jordan’s free throws, something always seems to go wrong for the LA Clippers. Beginning with the highly unusual birth of the franchise, the Clippers’ legacy has always carried with it the haunting suspicion that the team is cursed. Author Mick Minas goes behind the scenes- interviewing players, coaches and front office personnel- to create the first in-depth look at the history of the Clippers. The Curse is filled with drama: the unauthorized relocation of the franchise that led to the NBA filing a multi-million dollar lawsuit against the Clippers, the disruption of the team’s first playoff appearance by the Los Angeles riots, the bold but unsuccessful attempt to sign Kobe Bryant at the peak of his career, and the scandal which ultimately resulted in owner Donald Sterling being banned from the NBA for life. Featuring some of basketball’s biggest names, including World B. Free, Elgin Baylor, Danny Manning, Doc Rivers, Larry Brown, Dominique Wilkins, Elton Brand, Baron Davis, Blake Griffin, and Chris Paul, The Curse delves into the disasters of the past and the complications of the present. This is the definitive history of the NBA’s most dysfunctional franchise. To purchase a copy of The Curse, click here or visit Amazon. Mick Minas has over two decades experience as a basketball coach and his writing has been published by New Matilda and Prime Number. He graduated from the University of Melbourne in 1998 and currently lives with his wife and two children in Melbourne, Australia. Jim Lynam was the first head coach hired by Donald Sterling, coaching the Clippers from 1983 to 1985. He also coached the Philadelphia 76ers and Washington Bullets as part of a decorated career that spanned five decades. He currently lives in Philadelphia, where he provides pre and postgame analysis for the 76ers on Comcast SportsNet.